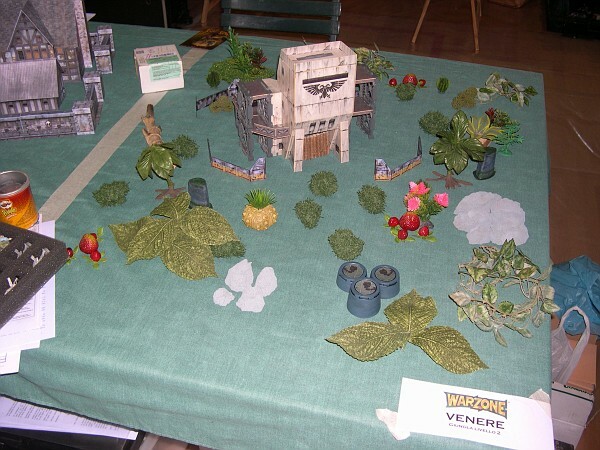 Every table was set in one of the locations of the Mutant Chronicles universe, and had a specific fixed Hostile Environment. Radioactive Zone is a Hostile Environment that I had to invent, because we wanted six tables with six different environments. In the Radioactive Zone a new Automatic Limitation is added every turn, to simulate the protracted exposure to radiations. A model who fails the Environmental check in this ambient also suffers the Limitation of the following turn (it is considered Contaminated), but it can be healed. I lose in the final to a guy with an Imperial army… I lent him my two Rams Air Cavalry, and in our game he made a Critical with one AP rocket shot by them on 7 models of mine! I was defeated by my own miniatures! I hope to post soon the rules of the tourney; feeding the exchange of ideas and opinions among foreign players is really good: helps people understand and enjoy the game and keeps our experiences growing. You can see me in the 22nd photo! tournament with 10 participants sounds great! I am sure you had a lot of fun. Recently we are playing with limit 800 points and we find it optimal. It looks as though a great time was had by all involved. I know the pain of defeat at the advance of one's own models. Looks like it was a great tourney. Thanks for sharing here. Yes, it was a great and funny experience. 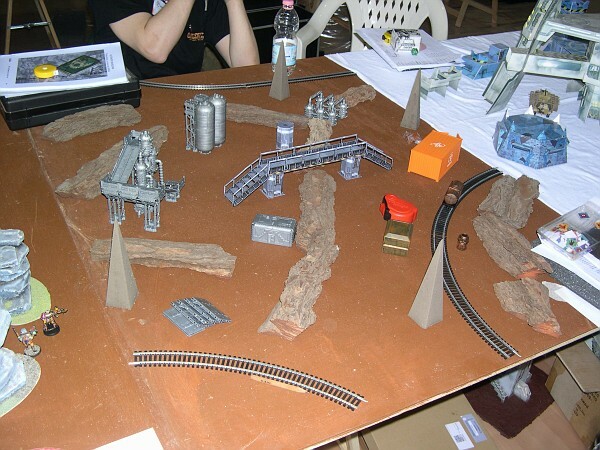 There are many Warzone tournaments around Italy, and we had another tourney in Rome three years ago, with 14 participants; but this was the first time we played under the COMPLETE set of rules and with a coherent system for calculating Victory Points. Besides, players showed high fair-play and great knowledge of the rules (thanks even to the clarifications we are having on this forum), and many people were visually stunned by our tables. Answering to Lukke: we imposed a time limit of 70 minutes for a game, plus 5 minutes per player to even the Rounds. So, normally a game of ours takes about 75 minutes. Within this time, it is hard to make two complete Turns, but generally we cannot afford more time for our games. Therefore, we prefer not to play with large armies. 500 points, that means about 6 Units to Activate, is the best choice for us. I know that Czech tournament rules partially derive from Polish ones. Sometime I visit Czech and Polish Warzone forums; they gave me inspiration for some rules I have introduced in Italy. I am trying to introduce Victory Zones to conquer on the table, but not as a primary winning condition. Czech and Polish players should also know that many players of our group proposed and approved house rules surprisingly identical to yours; but those players never read your rules! This is the sign there is a “common consciousness” in the Warzone players! With such short time constraints, have you thought of shrinking the tables, or enlarging the deployment zones? 1m x 1m with 30cm Deployment zones should speed the games and allow for finishing. Generally, we play on 4' x 4' (1.3m x 1.3m) with 12" (30cm) deployment zones. However, we also allow two hours to complete the games. If you need or want our scoring sheets, let me know. It is a 20-point "must" system; in other words, the victory points for both sides should add to 20 points when all calculations are done, and then there is the potential for "soft points" - points awarded for fair play, knowledge of rules, force composition and painting of miniatures. 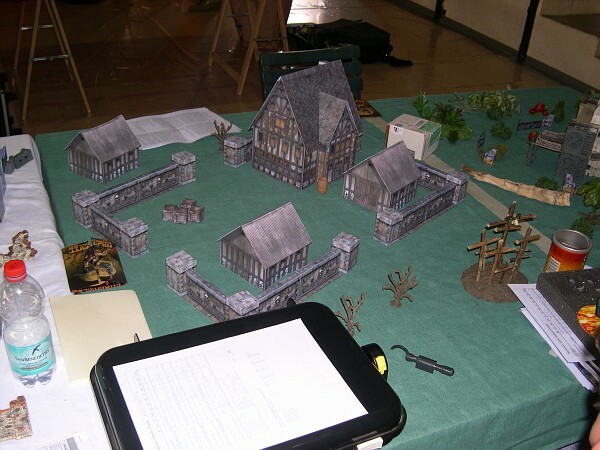 It allows all players a fair chance at victory for the overall tournament, and encourages fair play, fun and, of course, painted miniatures. If you need or want our scoring sheets, let me know. Oh, I'd like it! Thank you! Normally our tables are 36" x 36". Tables we were given at the tournament were longer. Anyway, we tend to minimize the distance between the deployment zones (not less than 24", but possibly not much more). Ah - Our tournaments are only three matches. Your tournaments are four matches - I understand the time constraints, now. I will e-mail the scoring sheet to you. If you have any questions, please, ask. Please, PM me with your e-mail address. Talamania is going to be hosting a yearly tournament. See our thread on this forum.